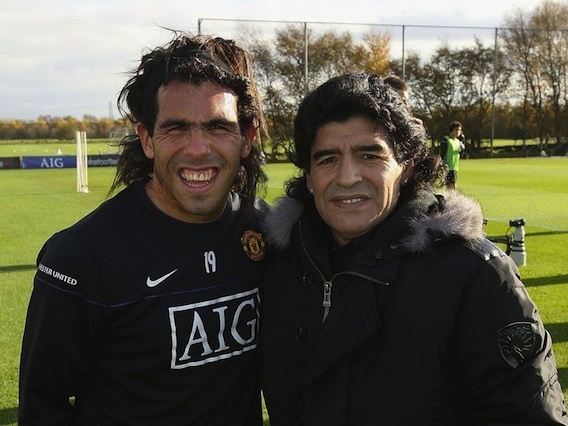 Carlos Tevez in a fetching pose with his Ma. A terrible coach, but arguably the best football player of all time, Maradona is undoubtedly a colorful character and a true legend. Carlos Tevez, while showing lots of potential, still has lots to prove. Previous post: Don’t worry, darling.